Gentle Giant mini-bust, LEGO keychains, and various other small items. You can click any of these pictures for a larger size, though the quality isn't that great. 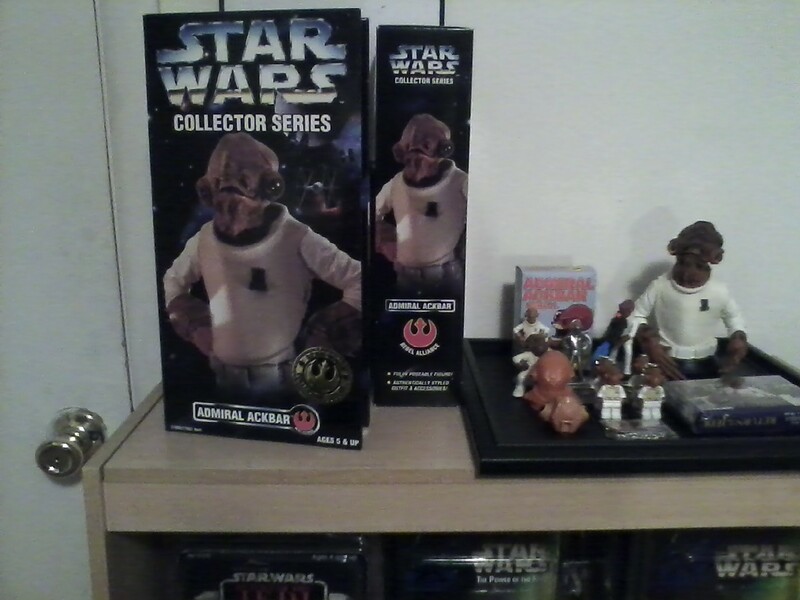 There’s a bit more to my Ackbar collection, but that’s about what I keep on display. 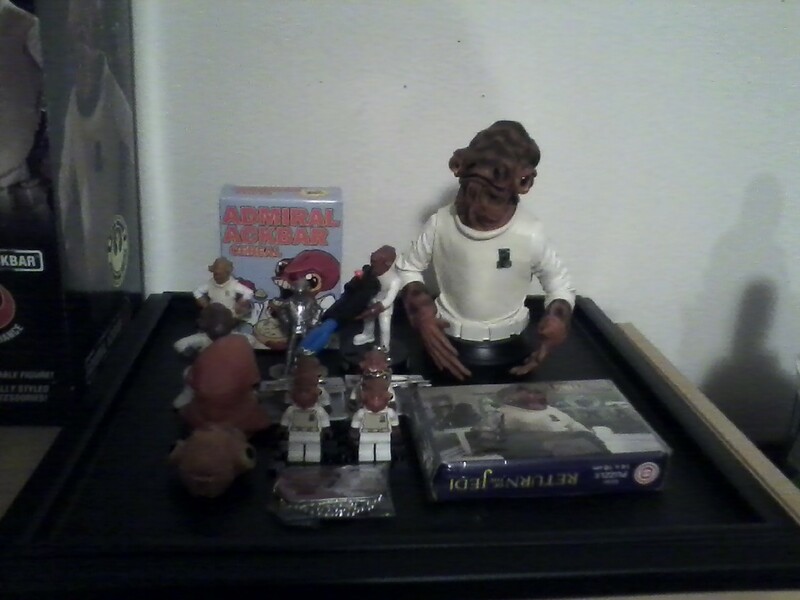 Some stuff is separate (I keep a LEGO Ackbar keychain with my keys, for instance). 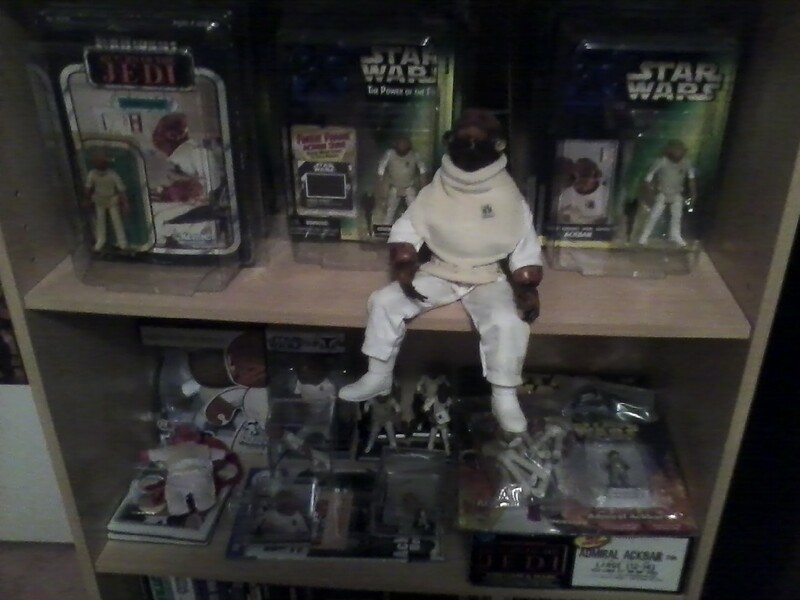 This entry was posted in ackbar, action figures: 12-inch, action figures: 4-inch, books: children's, cards: art cards, cards: trading card games, cards: trading cards, companies: ben cooper, companies: deagostini, companies: dk, companies: gentle giant, companies: hasbro, companies: kenner, companies: Th. Theophanides, companies: the lego group, companies: topps, companies: wizards of the coast, fan-made, items: badges, items: buttons and pins, items: dolls, items: figurines, items: jewelry, items: miniatures, items: puzzles, items: statues/busts, my collection, vintage. Bookmark the permalink. 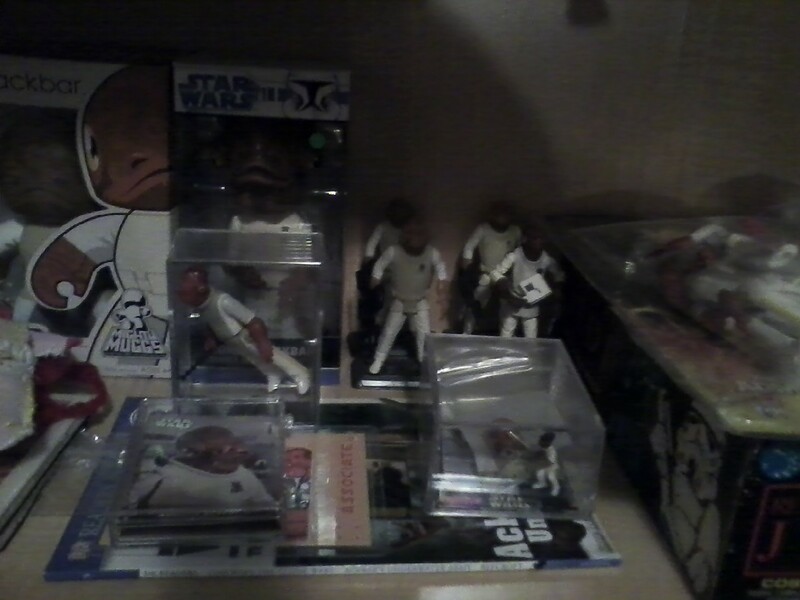 The collection’s looking good Marissa.